TASIS Headmaster Lyle Rigg has announced sixth-grade Science and International Baccalaureate Biology teacher Amy Bloodworth as the worthy recipient of the 2016 Khan-Page Master Teacher Award. Bestowed annually since 2009, the Khan-Page Master Teacher Award is named after two exceptional teachers who taught for many years in both TASIS schools: the late Akbar Khan in Mathematics and Max P. Page in English. The prestigious award recognizes an outstanding teacher who represents a high standard of professional pedagogy, possesses advanced subject-area knowledge, has a capacity to convey the joy and importance of learning to students, and demonstrates a fundamental sympathy with the aims and goals of TASIS as expressed in the Paideia. Amy has been at TASIS for six years. She teaches both sixth-grade Science and IB Biology. In both courses she finds ways to excite her students. Amy truly is student-centered. Her students are always at the forefront of her mind when thinking about her lessons. Amy is an avid learner who constantly is looking for ways to further develop her craft. From IB conferences to robotics to coding, she is constantly learning and stretching herself. 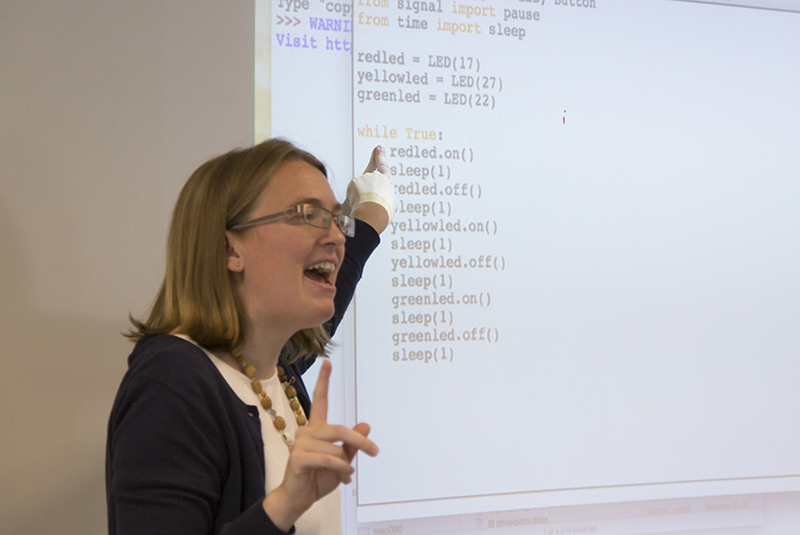 This past February Amy was one of a small handful of teachers from around the world who were selected out of a pool of thousands of applicants to take part in Picademy. What nudges Amy’s excellence toward something we might call “mastery” is that she consistently and effectively approaches the art and practice of teaching Science critically. The Akbar Khan-Max Page Master Teacher Award is an initiative supported by the M. Crist Fleming Endowment. This new TASIS tradition was proposed by the TASIS Foundation in 2009 and is funded by the TASIS Board of Directors as part of its broader efforts to support and encourage the faculty as the heart of the TASIS experience and the center of the School’s improvement in the coming years. Candidates may teach in any grade level but must have taught at TASIS for at least five years to be eligible for the Khan-Page Master Teacher Award, which comes with a monetary award of CHF 5,000. Previous recipients of the award are current Chair of the English as an Additional Language Department Carolyn Heard (2009), current Art History and Architecture & Design teacher Mark Aeschliman (2010), retired Chair of the English Department Cynthia Whisenant (2011), current French teacher Brigitte Cazebonne (2012), current Physical Education teacher Giorgio Volpi (2013), current Chair of the Middle School Science Department Brett Merritt (2014), and current Italian teacher Mario D’Azzo (2015).